The division bench of Justices Ranjit More and Dr.Shalini Phansalkar Joshi today listened to CDs that have footage of the accused in the 2008 Malegaon blast case, in-chamber. Although the bench began hearing the CDs in open court, ASG Anil Singh who appears for NIA said that since the media is present, it would be better to listen to the CDs in-chamber. The bench obliged. According to the order, the bench listened to one CD, while one was cracked hence did not work. There was one audio CD with a transcript and there were 11 other CDs that were irrelevant. 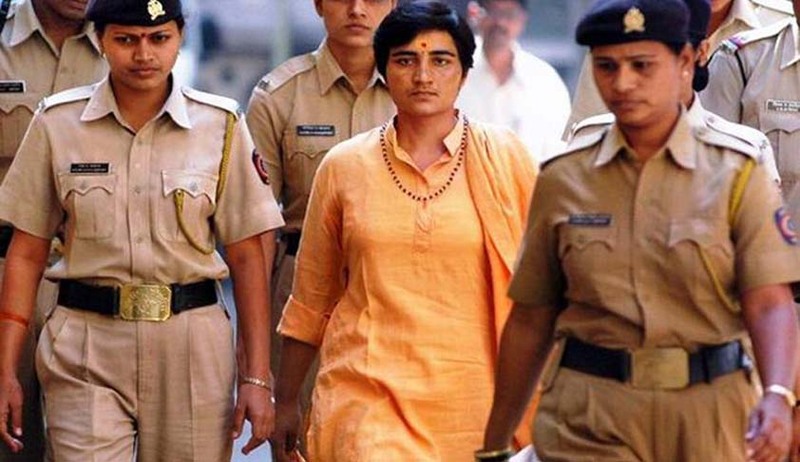 Previously, the bench had directed the HC registry to call for four separate articles (containing CDs/DVDs) that may have videos of a meeting convened by Malegaon blast accused Pragya Singh Thakur in Bhopal. These videos were submitted by the Maharashtra Anti-Terrorism Squad(ATS) before the City Civil and Sessions Court. Court had called for these CDs after Senior Counsel BA Desai who appeared for the intervenor in the matter(blast victim), pointed out that there were videos of Pragya Singh Thakur and other accused in a meeting convened in Bhopal. The bench was hearing Pragya Singh Thakur’s bail application. Thakur is the prime accused in the 2008 Malegaon blasts that killed six and injured 101 people. ATS stated in it’s chargesheet that Pragya’s motorcycle was used to plant the bomb. However, the NIA which took over the investigation stated in it’s supplementary chargesheet that although the motorcycle was registered in Pragya’s name, it was used by an absconding accused. The matter has now been posted for hearing on February 16.